Summer 2017 has arrived and it’s time to enjoy warm weather and an introduction to the latest rage in travel, Microbe Tourism! Many will head to beaches, waterparks, or cruise ships. But why not avoid the crowds and traffic and experience a different type of adventure? As a fan of the microbial world, you will pleased to know there are wonderful tourist spots with great science gifts right up your alley. You could skip the city zoo and join a virus hunting expedition in search of the next zoonotic microbe. There certainly are millions of unknown creatures, most of them viruses, bacteria, fungi, protists and other microbes yet to be discovered. But in this blog series we’ll offer some safer travel ideas. We’ll take you to famous towns and forests, as well as marvelous museums, research centers and places you may not realize are well connected to microbes. 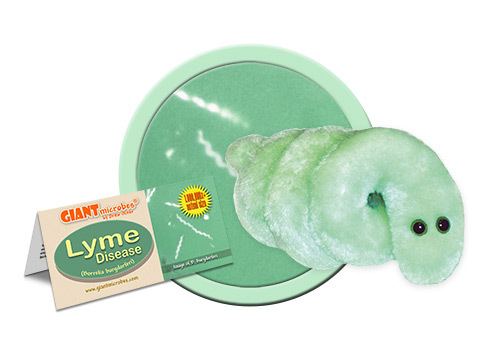 So put down your microscope this summer and hop on the GIANTmicrobes magical microbe tour! Let’s start with the beautiful town of Lyme, Connecticut. Beaches, historic buildings, New England charm, and the location of the first documented outbreak of Lyme disease in the 1970s. Your summer travels should certainly include at least one stop at a place for which a virus is named. Many viruses are named for the place they were first discovered or where an outbreak occurred. There are many such virus names on the map. If you like a hot climate, check out the Zika Forest of Uganda, the origin of the virus that continues to impact people in the Americas. And if you happen to be in Bolivia this summer, take a dip in the Machupo river. The Machupo virus emerged from there decades ago. Of course any voyage to Australia is not complete without a visit to the suburb of Brisbane called Hendra, where the Hendra virus was first discovered in the 1990s. You’ll never get sick of such wonderful travels in the virosphere! Viral diseases are often times named after a place for a couple reasons. They’re not named after people since most scientists and virus hunters do not want their name associated with a killer. Also, naming a disease after a location is a clear way to track the origin and movement of the microorganism. Perhaps the name might also serve as a warning to nearby townsfolk to keep their distance. But you need not keep your distance this summer! Let’s head back to Lyme. In this gem of a town you’ll enjoy sailing on the Long Island Sound and seeing the art at the Florence Griswold Museum. In Lyme you'll find lots of art and science gifts to bring home to your friends. Just remember to wear high socks and tick-resistant underwear during your stroll through the gallery. In upcoming travel blogs we’ll highlight many more microbe hotspots from the fresh air of the Rocky Mountains to the southern charm of the U.S. National Tick Collection. So keep on moving this Summer with microbes!